U17 Defenseman First Earned His Stripes Between the Pipes. Adam Fox spent hours and hours playing roller hockey in his basement growing up. There was just one problem -– he was always forced to man the nets. “We would play for hours and hours in the basement – my brothers, my cousins and I. 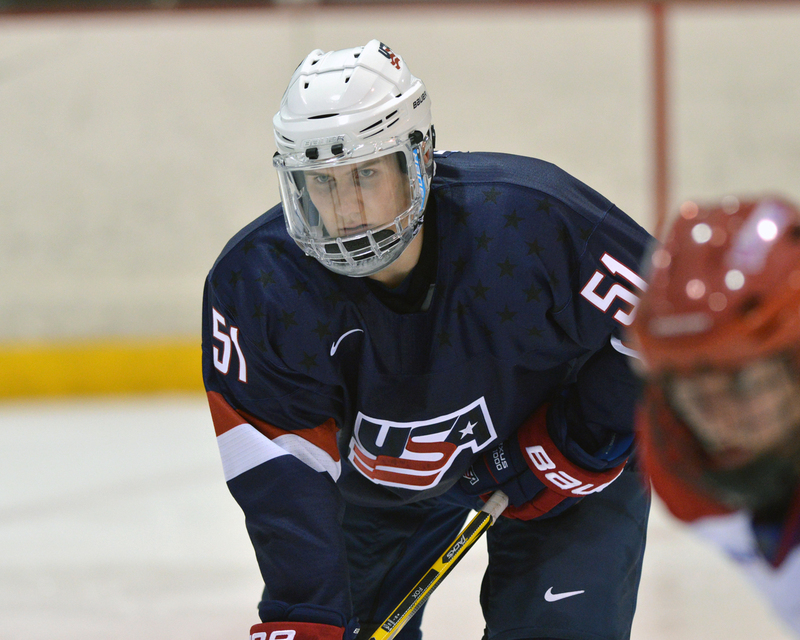 It was a good way to get me into it,” said Fox, a U.S. National Under-17 Team defenseman. “I had a roller rink in the basement that my dad got for me. My dad loved ice hockey and he just got me into it. My brother was playing so it was good for us to play. The Jericho, New York, native grew up playing ice hockey with current U18 forward Jeremy Bracco (Freeport, N.Y.). Their families were close and spent plenty of time together. It should be no surprise that Bracco and Fox are connected when it comes to the blue line. “Jeremy Bracco and I originally played forward together. This one coach we had put both of us back there. For me, it just stuck and he moved back up to forward,” remarked Fox, a 5-foot-10, 167-pounder. It was no surprise that Bracco was one of the first people to call Fox after Fox made the National Team Development Program. “He was really excited and called me,” said Fox. “He wanted us to live together but it was a little tough since he was on the other team. Fox has appeared in 33 games this season, tallying three goals and 21 points. The transition from midgets to the United States Hockey League (USHL) can be challenging but leaving home was the toughest on Fox. He credits the coaching staff in helping his game grow since the beginning of the season. “He is helping make us better players and working on the defensive aspects without taking away the offensive game,” said Fox. “It’s really good to learn from him and you can’t help but talk a lot away from it. 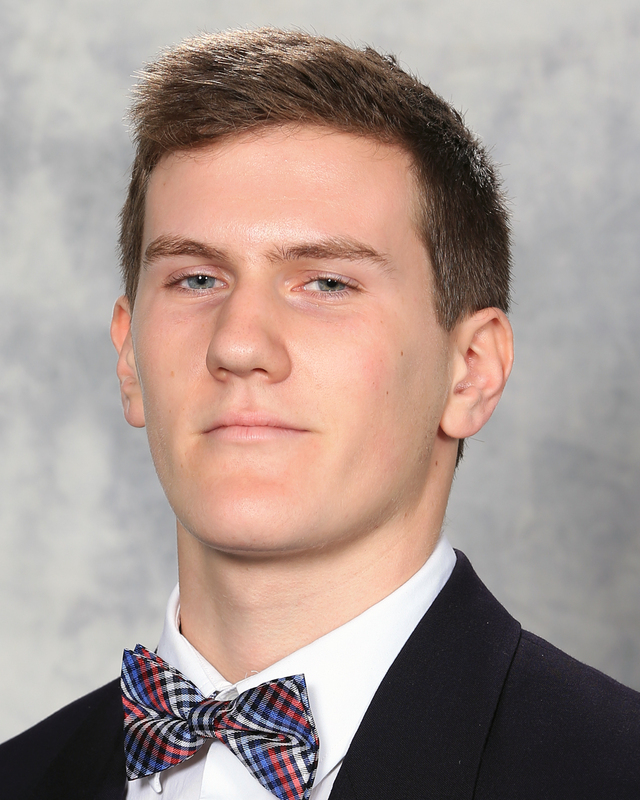 Fox and his teammates play a two-game set this weekend (Jan. 24-25) against the Bloomington Thunder before heading into their final international tournament – the Five Nations Tournament in Russia the first week in February. The U17s will face Russia, the Czech Republic, Sweden and Finland. For Fox that means representing his country, wearing the red, white and blue sweater with the Team USA crest. “It’s the best feeling. You are representing your family, your country, and your coaches. There is nothing better than putting it on,” he said.